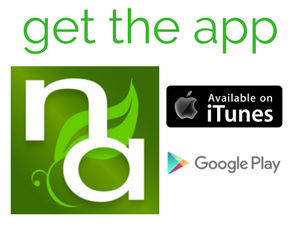 Natural Awakenings | Central New Jersey | Healthy Living. Healthy Planet. Jesse Stafford and Alyssa Craft quit their jobs in 2015, bought five acres of remote land far away from utilities and began building their 36-foot-by-36-foot timber frame home from scratch. Next up was a septic system, then a clean water source and, of course, alternative energy. Their rooftop solar panels are backed up by a reliable Honda generator. They had some setbacks, which is to be expected. Now they’re blogging about it. “We didn’t want corporate jobs, we didn’t want to live in the city, commute to work or have a mortgage payment,” they write in their online homestead journey at PureLivingForLife.com. Off-the-grid living has become downright fashionable, especially for the eco-conscious. But leaving the rat race isn’t easy, and it’s not for everyone. Yet, anyone that wants to become more energy-independent can succeed without moving to an isolated cabin; and there’s never been a better time, because prices keep coming down and technology keeps improving. Choosing the best option depends on several factors, including the specific residence, climatic zone, town and neighborhood. Power source: Choose from among solar ($12,000 to $50,000, depending on the system’s size), wind ($6,000 to $22,000, including installation) or geothermal ($20,000 to $25,000). Ample resources: Find out if there’s steady wind, plentiful sun, a place to install geothermal pipes and whether the home is properly oriented for solar without obstruction by trees or tall buildings. Electricity needed: Get a quick average by adding up the wattage of all appliances, and then add 50 percent. The American average is 10,000 kilowatt-hours annually, although frugal folks can make do with less. The local utility company can also estimate energy needs based on past usage. Realize that alternative energy doesn’t need to be an all-or-nothing proposition. For instance, a solar system doesn’t have to power the whole house. A smaller and cheaper array with battery backup can be connected to essential services like the water heater, refrigerator and electric stove, with the grid handling heavier loads. Ad-vantages are lower upfront cost and access to the grid when needed. Connecting to the grid makes sense for all alternative power sources, because wind and solar are intermittent, and don’t always provide power. Also, most states offer net metering, which requires the local utility to pay for the electricity a homeowner puts back into the grid. Solar panels for electricity, usually made of silicon, consist of photovoltaic cells that convert sunlight into direct current (DC). Their cost has come down dramatically in recent years. In January, the average solar panel cost $3.14 a watt, a bottom line of roughly $18,000 with a six-kilowatt system big enough for most homes. The price fell 6.5 percent from January 2018, reports EnergySage.com, a solar vendor pricing source. A federal tax credit covers 30 percent of the cost, so the out-of-pocket cost for a system would be approximately $13,000 if installed before year’s end, when the full residential tax credit is available. Partial tax credits will be available until they are phased out in 2022. Ron Blumenfeld, a retired doctor in Fairfield, Connecticut, serves on his town’s sustainability task force and “went live” with his rooftop installation six years ago. “It’s turned out to be one of the best investments we’ve ever made—financially and environmentally,” he says. The U.S. Department of Energy (DOE) is working toward residential solar to generate power at just five cents per kilowatt-hour by 2030, which means it will be far cheaper than grid electricity. Consumers can either buy a system outright or—as a popular alternative—lease the system with no upfront costs. Leasing companies like SolarCity (now part of Tesla) pioneered this approach, in which consumers agree to buy electricity from the system installed on their roof. Whether to add the extra expense of battery backup is important. A pair of Tesla Powerwalls will cost about $14,000 installed and store enough electricity to power a home for seven days. It’s suitable for people looking to go off the grid because the sun doesn’t always shine, and power generated on sunny days can be stored and used when it’s overcast. Off-the-grid solar is not just for those living in sun-rich states. Installers can look at a property—often remotely, through applications like Google Earth—and determine if solar is appropriate. Sometimes a few trees will have to be sacrificed, but the benefits are manifold, and not just because there will be power during grid blackouts. Wind power accounted for the largest share of renewable energy growth in 2017, reports the International Energy Agency, but it’s in its infancy for homeowners, partly due to an average cost of $48,000 to $65,000 per installed project. Residential turbines have been installed in all 50 states, but many parts of the U.S. have marginal resources. Check the Department of Energy wind resource guide for local data at WindExchange.Energy.Gov. The best-case scenario is strong winds plus few neighbors close to a large property (and lenient zoning laws). Wind may work for the 19.3 percent of the population that lives in rural areas and the 21 million American homes built on properties of an acre or more. However, it isn’t for everyone. James Weston, of Greene, Maine, installed his turbine 10 years ago, and considers his rooftop solar panels a better investment. “By the time you put up your 100-foot tower to get the tower above the tree line and optimize the wind resource, the return isn’t there,” he says, noting that his savings from the turbine amount to a few hundred dollars a year. Bergey WindPower, maker of the 10-kilowatt BWC Excel 10 turbine ($31,770), recommends that a property have at least a 10 mph average wind speed, coupled with high electricity prices of 10 cents per kilowatt-hour or more. 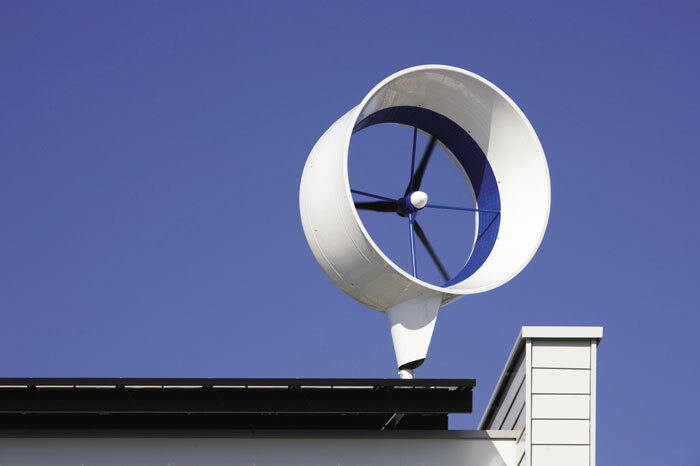 Also consider the neighbors: The system’s turbine is typically installed on an 80-to-100-foot tower, and so-called “viewshed” objections have taken down many projects (including Cape Wind, in Massachusetts). With annual maintenance, the DOE reports that small wind turbines should last about 20 years, the same basic lifespan as solar panels. The federal production tax credit for wind is available this year, but won’t be available afterwards. Some states offer incentives. A useful small wind guidebook can be found at WindExchange. Energy.gov/small-wind-guidebook. Some common misconceptions about home geothermal are that consumers need to live in one of the planet’s “hot spots” (think Iceland, California or Utah). But the truth is the Earth’s temperature just below the surface almost anywhere is a constant 45 to 75 degrees Fahrenheit, and the Northeast and Midwest have the highest geothermal adoption rates. Geothermal doesn’t necessarily require a large piece of property. Local geology will be a factor in siting and sizing the system. The same 30 percent federal tax credit that applies to solar also applies to geothermal for systems installed by 2020. States also provide incentives. A detailed guide on availability is available at Tinyurl.com/GeothermalHeatPumpListing. Buildings, especially older structures, are usually sieves in terms of energy loss, so before investing in a system, check to see if the local utility provides free energy audits. Even if it’s not free, it’s worth finding out if the home needs new windows or strategically applied insulation. There are scammers in every field, and alternative energy is no exception. Ask providers for references to previous customers and check for online cautions from the Better Business Bureau, Yelp and others. Alternative energy in any form can save money and precious resources. Explore the options thoroughly and choose wisely before pulling the plug. Jim Motavalli, of Fairfield, CT, is an author, freelance journalist and speaker, specializing in alternative energy, clean automotive and other environmental topics. Connect at JimMotavalli.com. Digital Edition. Click to open!